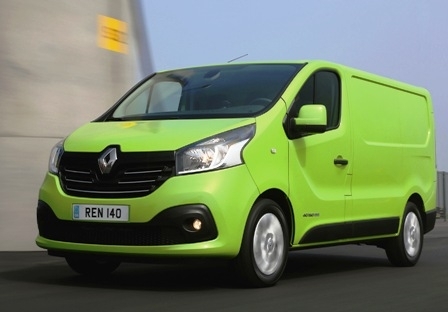 Renault’s All-New Trafic van has triumphed as the best-performing Light Commercial Vehicle at the 2014 MPG Marathon. 17.11.2014 - The Trafic van came away with the titles of ‘Best MPG’, as well as ‘Best percentage improvement’ compared to manufacturer claimed economy figures, in the LCV category. Held earlier this month, the MPG Marathon is a grueling two-day economy challenge designed to put fuel economy performance claims and eco driving techniques under the spotlight. Behind the wheel of Renault’s All-New Trafic SL27 ENERGY dCi 120 Business+, Dan Gilkes, Editor of Van Fleet World, and co-driver, Ray Penford drove the 311-mile varied road route through the Cotswolds and South Wales in the UK, achieving an overall economy figure of 55.55mpg to take the ‘Best MPG’ title for an LCV. That figure is some 15.98 per cent higher than the Trafic’s official EU combined cycle figure of 47.9mpg which was enough for All-New Trafic to also scoop the award for “Best percentage improvement’ in the same category. Produced with news.CMS in 0,0691 seconds.